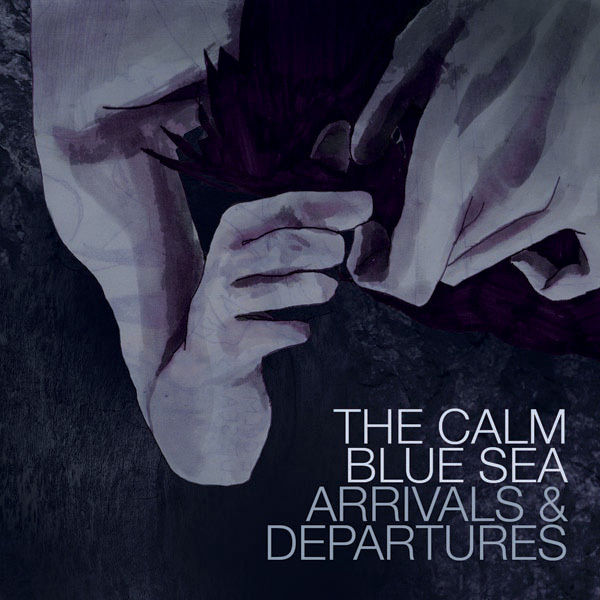 The Calm Blue Sea released their third album, Arrivals And Departures, on Modern Outsider records. An Austin band on an Austin record label. This is their third release in 4 years and we have had to wait three years for this release to happen. Was it worth the wait, I would say that it was. It has a defined start middle and end, it really fits the two sides of vinyl rather nicely. That was intentional, and it works really well. The opening track, also the title track, is only 1.20mins long but it is a beautiful introduction to the album, all piano/synth with a really nice melody and this leads into Samsara which at just under 8 minutes, is the longest track on the album. ‘Samsara’ carries on the piano sound with the addition of vocals, well not out and out vocals, more of a vocalization. All the instruments really shine on this track, this could very well be a live favourite. It has an unexpected change of direction at the end of the track. The next track is a classic post rock song name, and by that i mean it is a long title. ‘We Will Never Be As Young As We Are Tonight’ with really nice piano and guitar melodies. There are no bad tracks on this album, each of them have an endearing quality about them and they have enough variation from song to song that it never quite sounds the same. But I would say the The Calm Blue Sea do have their sound, and they are expanding it and that is not a bad way to go. They are evolving their sound as a band. This album seems to up the ante for sure, the production and sound is first class. This is going into my top ten releases of 2012. Fresh off the heels of the 2011 reissue of their debut album, The Calm Blue Sea is back withArrivals & Departures, their overdue sophomore offering and one of the most anticipated recent releases to come out of the fertile Austin music scene. 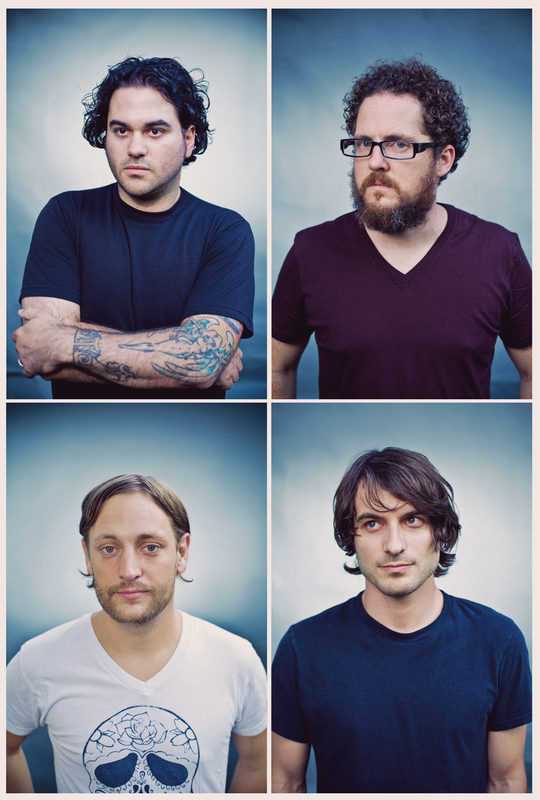 Originally formed in late 2007, The Calm Blue Sea emerged quickly with their self-released 2008 debut. The eponymous full-length broadened the band’s reach to a worldwide audience and set the foundation for a flurry of activity over the next year. Months after the release, and days after returning home from their first American tour, The Calm Blue Sea wasted no time in immersing themselves in their next creative endeavor: writing and performing an original score to the 1924 Fritz Lang film entitled Siegfried (thecalmbluesea.com/siegfried). While the undertaking was fraught with exhaustion and the stress of deadlines, creating the 96-minute score unearthed new methods of articulation within the band as the writing process evolved to satisfy the specificity of expression that the project required. Siegfried came to life in a one-time performance of the score in front of a sold out audience at Austin’s historic Ritz Theater and a limited edition release in the fall of 2009. Due to the emotional and financial stress of constant activity, managing every process internally, and sudden lineup changes, the remaining members decided at the end of the their second tour in 2009 to take time apart from the band and ultimately each other. Following their return to the stage at SXSW 2011, the band started the unexpectedly arduous task of writing their next album. “As a writing team we were essentially starting over. It was very much a brand new band in that sense, and we had to go through all of the initial struggling and stumbling of learning to collaborate with a whole new team, while attempting to come up with a drastically different end product at the same time,” Bidwell says. By early 2012, the band was back at Cacophony Recorders with engineer Erik Wofford (The Black Angels, White Denim), four years removed from the 2008 weekend when they first stepped foot in that same studio to record their self-titled debut. This entry was posted on October 25, 2012, 9:49 pm and is filed under Playlists. You can follow any responses to this entry through RSS 2.0. You can leave a response, or trackback from your own site.